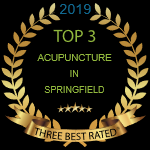 At Wellness Concepts Clinic, we strive to help you achieve your maximum health through the natural therapies of Acupuncture, Chiropractic, Oriental Medicine, Massage, and Biofeedback. We use a elite team of Doctors and Therapists to help you heal. You may see one or the whole team depending on your condition. Wellness is defined as a healthy state of wellbeing free from disease. It is the condition of good physical and mental health, especially when maintained by proper diet, exercise, and habits. We intend to calm your mind and heal your body. Relax and let us take care of you. To learn more about our services please call our office at 417-877-1300!